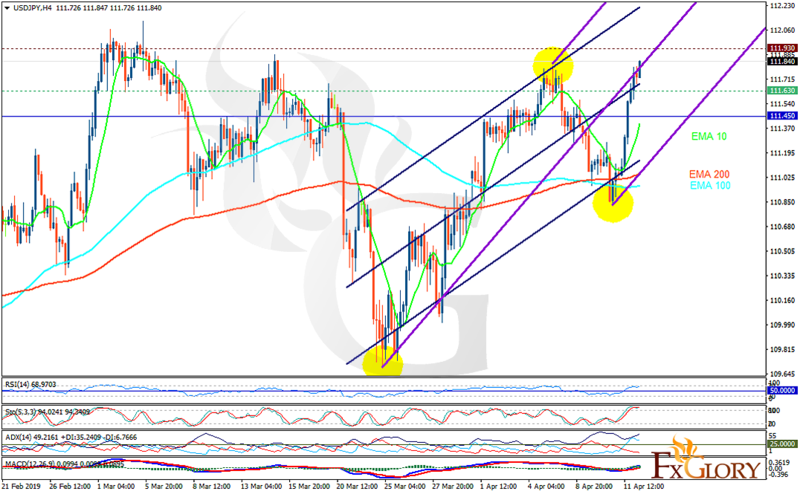 The support rests at 1.12680 with resistance at 1.13100 which both lines are above the weekly pivot point at 1.12180. The EMA of 10 is moving with bullish bias in the ascendant channel and it is below the EMA 200 and above the EMA of 200. The RSI is falling towards 50 level and the Stochastic is showing upwards momentum. The MACD line is on the signal line in the neutral territory. The ADX is showing weak buy signal. 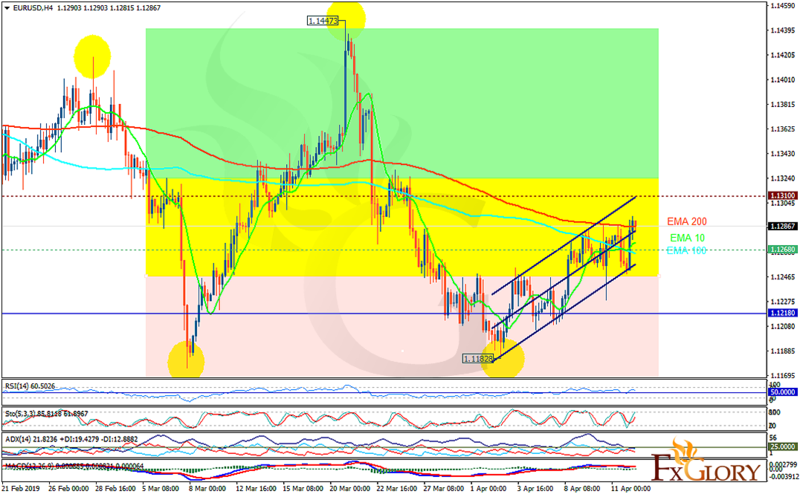 While considering pullbacks on the way, EURUSD may continue its bullish trend towards 1.13200.